Swizzels Matlow are inviting fans to share their scary photographs on their Facebook page. All entries have a chance to win a fabulous hamper of Swizzels Matlow treats.We entered last year although sadly didn't win - the competition is fierce (see what I did there?). 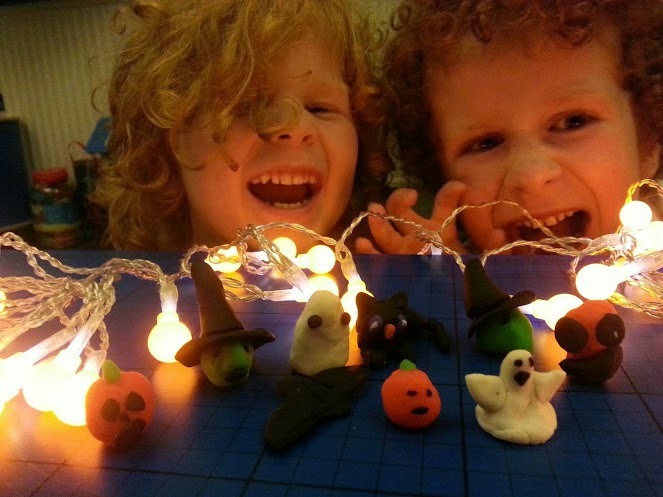 Here are my terrors for this year's competition - enough to scare anyone! Entry is really simple - just upload your photo to their Facebook Page. 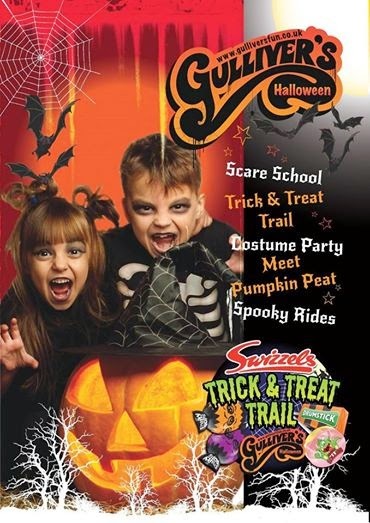 Swizzels Matlow have also teamed up with the people behind the Gullivers Theme Parks to arrange a host of fabulous Halloween activities over half term - we'll be visiting ourselves with our two youngest boys and it really does promise to be a spooktacular day out! If you don't have any horrors to photograph or you're too far from a Gullivers Theme Park to join in with the fun there, then fear not. Swizzels Matlow have very kindly given a selection of their Halloween sweets as a prize for one of my readers. Entry is by rafflecopter below. The first question is mandatory and should be answered as a comment on this post. Extra entries can be gained by completing more tasks. UK entries only. The giveaway will end at midnight on Sunday 26th October in time for pre-Halloween delivery of your prize and after that time no more entries will be accepted. Terms and Conditions are shown at the bottom of the rafflecopter form. I am dressing up as a witch and my two daughters are going to be black cats and my two sons are going to be a zombie and a pirate! Witch hostess. With a very alcoholic witches brew for the grown ups! no dressing up for me this year! I don't need to dress up, just put on a black cape! I will be a candy cane witch my husband Hellvis, my daughter a cat and my son azombie pirate! I'll probably be wearing my cow onesie anyway! I won't be dressing up, as I'm going to watch John Bishop on his tour. I'll just be me but a bit more polished than usual - we're going to a party where no fancy dress required for adults! I'm not going out this year as I'm a bit too pregnant - might do some make up to scare the trick or treaters though! Abaddon from Supernatural! She's kick*ss! An old Witch,but then don't really need to dress up!!?? The Mummy ~ bedsheet and all! I'll be dressing as a zombie for the party that we're hosting at ours! I'll be going as a nurse! My 3 year old and i will be going trick or treating as ghosts! I'll be a witch this year and my daughter is a pumpkin! I don't dress up as we don't have any kids around us to partake in the festivities - I think I'd scare the local kids too much if I dressed up anyway lol. Yes as Cruella De Vil ! Myself – that'll be enough to scare anyone ahaha! As usual I'll be a witch, I've got long black hair, and a big nose, I'm reliably told, so I'm nearly there anyway! I'll be working, so no dressing up for me. The Smarter Wifi Kettle from Menkind (review). Chill Factore Mini Moose Land and Play 'n' Cake.